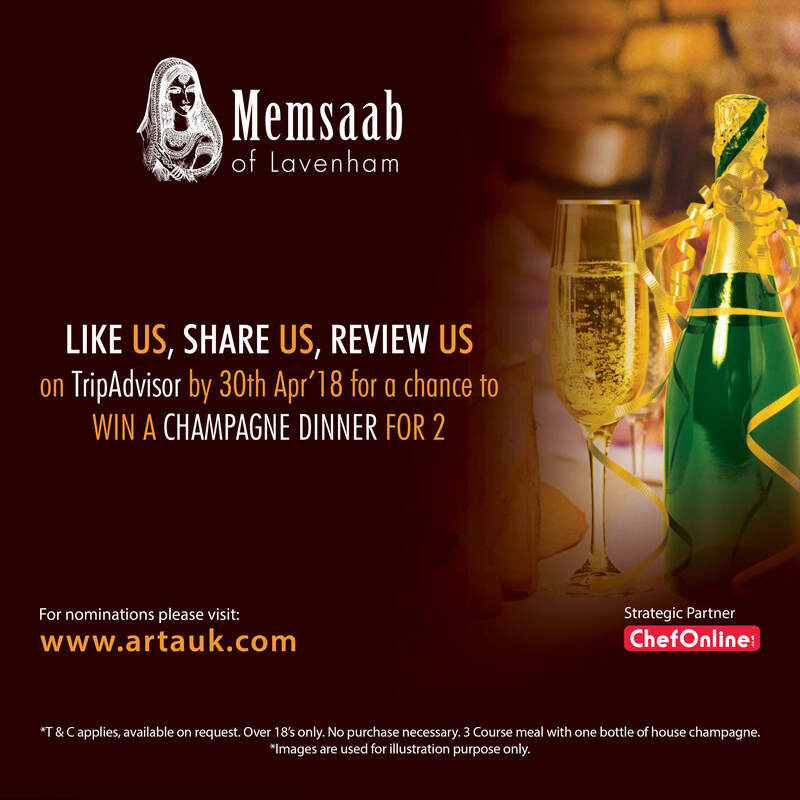 Memsaab Restaurant has been ranked as one of the best Best Indian Restaurant in Lavenham, Sudbury, Suffolk serving freshly prepared delicious Indian meals with both care and pleasure. We owners have more than 30 years’ experience preparing Indian cuisine based on recipes handed down through generations. 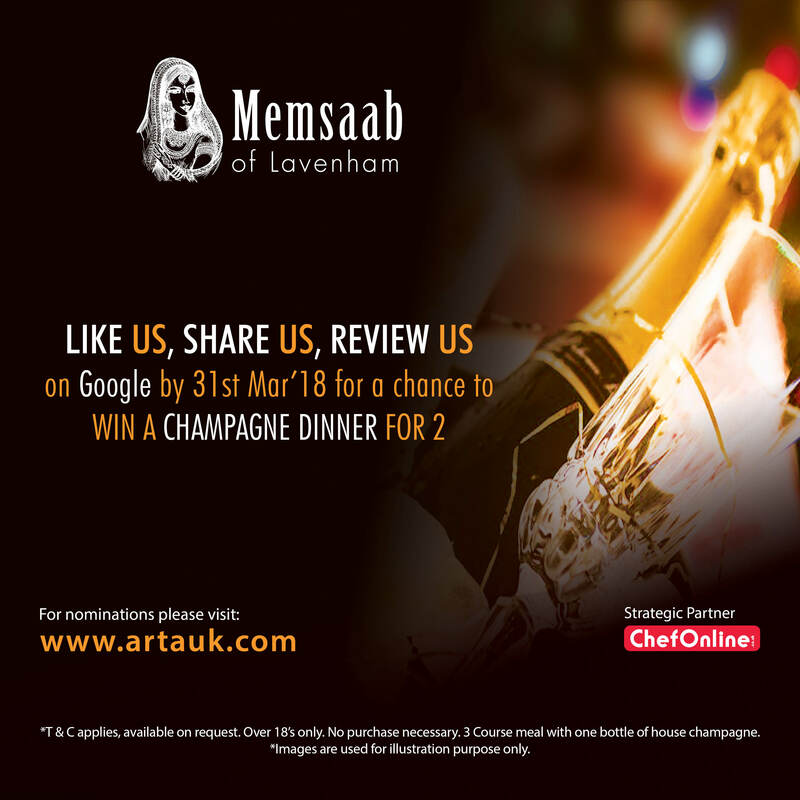 We take a great deal of care to our customers and provide quality food, professional service and an excellent dining ambience to make Memsaab Restaurant an unforgettable experience. 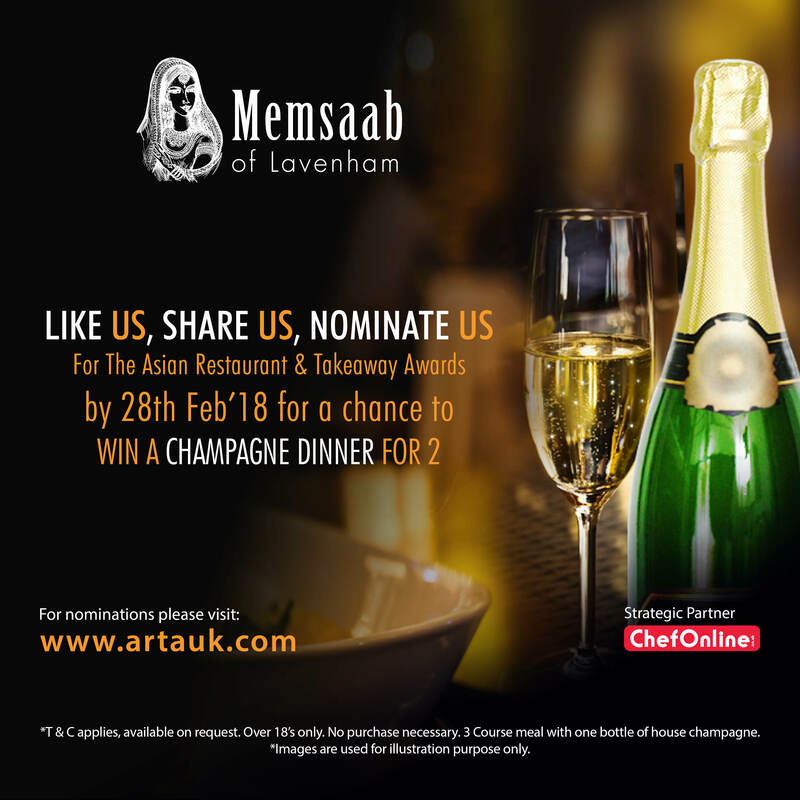 By nominating Memsaab Restaurant, you will automatically enter ARTA 2018 Grand Prize Draw in addition to all our monthly prize draw.